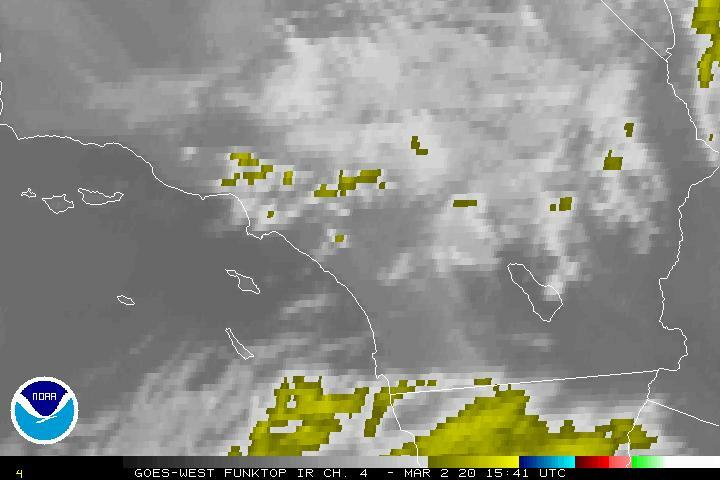 Lat: 32.964° N Lon: 117.223° W Elev: 295 ft.
Areas of low clouds and fog in the morning then partly cloudy. Local visibility one quarter mile or less at times in the morning. Highs 64 to 69 near the coast to 70 to 75 inland. Light winds becoming west 15 mph in the afternoon. Patchy low clouds in the evening then areas of low clouds and fog. Lows 51 to 56. Light winds. Low clouds in the morning then patchy low clouds. Highs 58 to 63 near the coast to 64 inland. Light winds. 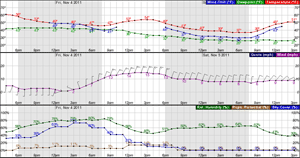 Cloudy with a slight chance of showers in the morning, then partly cloudy in the afternoon. Highs around 62. Light winds becoming southwest 15 mph in the afternoon. Chance of measurable precipitation 20 percent. Low clouds in the evening then partly cloudy. Lows 47 to 54. Partly cloudy in the morning...becoming mostly sunny. Highs 64 to 69 near the coast to 68 to 73 inland. Mostly clear in the evening...becoming partly cloudy. Lows 50 to 56. Partly cloudy in the morning...becoming mostly sunny. Highs 64 to 69 near the coast to 72 to 77 inland. Mostly clear in the evening...becoming partly cloudy. Lows 50 to 57. Partly cloudy in the morning...becoming mostly sunny. Highs 68 to 73 near the coast to 77 to 82 inland. Mostly clear in the evening...becoming partly cloudy. Lows 51 to 57. Partly cloudy in the morning...becoming mostly sunny. Highs 66 to 71 near the coast to 74 to 79 inland.